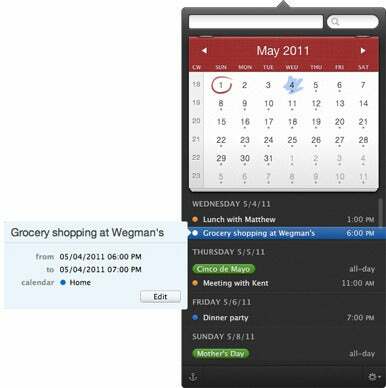 The Macworld editorial staff picked 13 software winners as the best products of 2011. 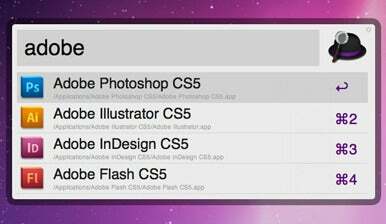 Take a look at the list, and you’ll find a set of tools that’ll help you get things done. 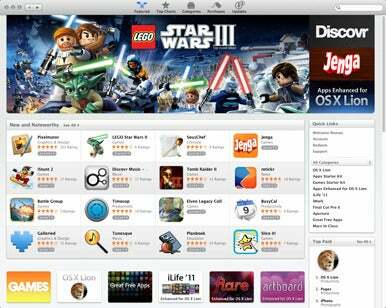 When Apple’s Mac App Store debuted in late 2010, it was huge news. By making it dead-simple to find, purchase, install, and update Mac software, the Mac App Store had the potential to change the Mac software market the way the iOS App Store changed the iPhone. A year later, the Mac App Store is even bigger than we expected, with hundreds and hundreds of apps. Apple even made it the only way to purchase and obtain Mac OS X 10.7 Lion, the only way to purchase the latest versions of the company’s other software, and the way buyers of recent Macs update or reinstall their iLife apps. If you spend a lot of time working with windows—and we’re confident that group includes many Mac users—Moom ( ) from Many Tricks offers a slew of features for making it easier to move and resize, especially if you frequently use particular window sizes and locations. For starters, Moom makes a window’s little green Zoom button useful: Move the cursor over that button and you can instantly reposition and resize the current window, either by choosing one of the preset window layouts, or by drawing, on a grid representing your screen, the desired window position and size; the window instantly takes its new place on the screen. Alternatively, you can press a keyboard shortcut to bring up Moom’s keyboard-control overlay, which offers the same options (and more) for keyboard jockeys. 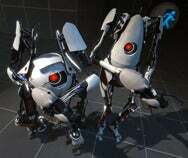 Like its original, Portal 2 asks you to solve a series of puzzles using inter-spatial portals under the guise of “testing.” The sequel, however, vastly expands upon the world of the first game, introducing new plot-points, gameplay elements, and quippy characters to keep you entertained. If that weren’t enough, the game sports a fantastically fun co-op mode, letting you and a partner take control of sentient robot testers to save science together. 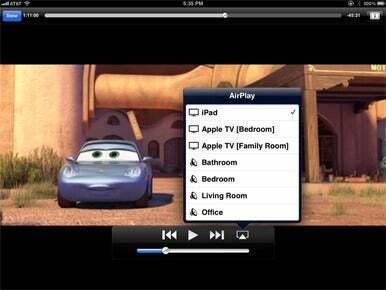 The AirPrint feature of iOS 4.2 promised to let you print wirelessly from your iOS device to any printer shared by your Mac. But it ended up working only with a few specific printers. 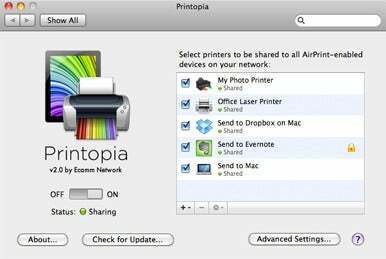 Ecamm Network’s Printopia ( ) takes over where iOS leaves off, delivering AirPrint’s original promise and much more—and makes it available to users running Mac OS 10.7, 10.6, and even 10.5. This utility lets your Mac wirelessly share all or any configured printers, no matter how they’re connected to your Mac, with iOS devices, making it easy to print from any iOS app that supports printing. 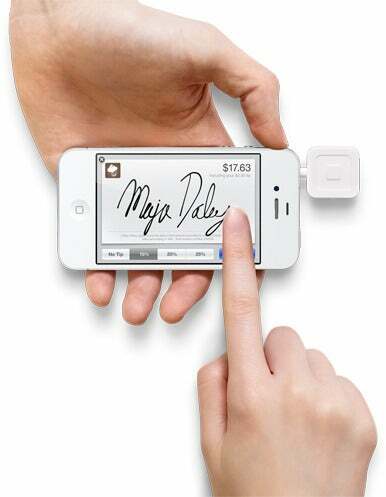 Writing checks is so last decade, especially when it seems like everybody has a credit card these days. Wouldn’t it be convenient if you could pay your friend for his share of dinner with your card? Or swipe your card next time you buy something off Craigslist? That’s the idea behind Square. The team at Square is aiming to revolutionize payment processing; the company gives out free dongles and free apps that let businesses or individuals accept credit card payments. Most of all, though, they make the process simple: Just enter the amount, swipe your card, sign the touchscreen with your finger, and you’re done. Because the dongle, app, and Square account are all free, the company makes its money by taking a small percentage of each payment (2.75 percent)—and that’s the same, no matter which of the four major supported credit cards you use. Payments are deposited directly into your linked bank account, and you can easily view a list of your transactions in the app or online. The Macworld staff reveals our top hardware picks of the year. 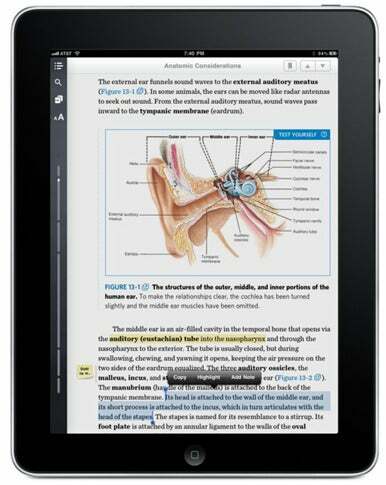 The Macworld staff reveals our top software picks of the year.